Yesterday was a very sunny sunday here in Amsterdam, perfect for a sunprint on fabric. I tested dye-na-flow fabric paint on pieces of cotton. 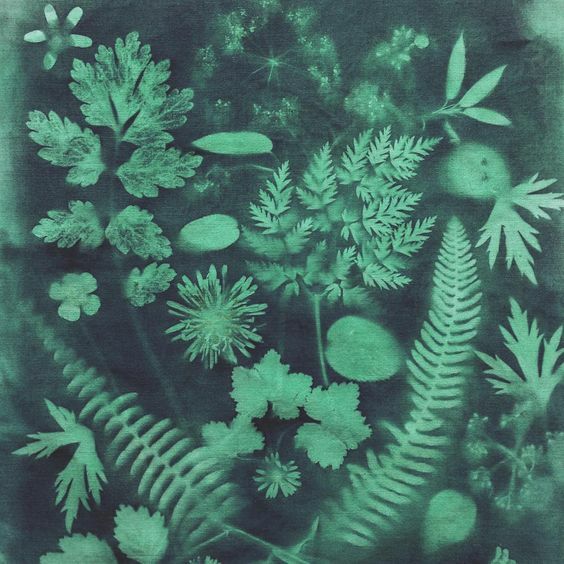 I find it easier to print on paper than on wet fabric, but here are some of the botanical collages I made by mixing two colours: pewter and teal. 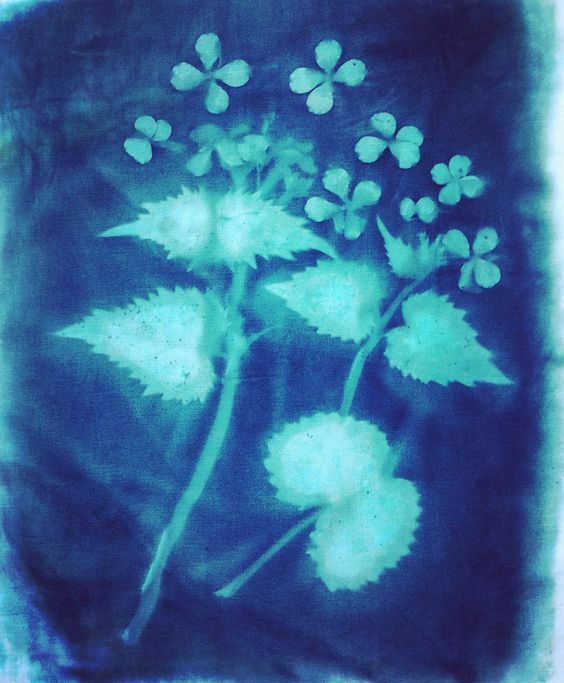 All prints are made with freshly picked leaves and flowers from my garden. Check out more of my botanical collages over here.